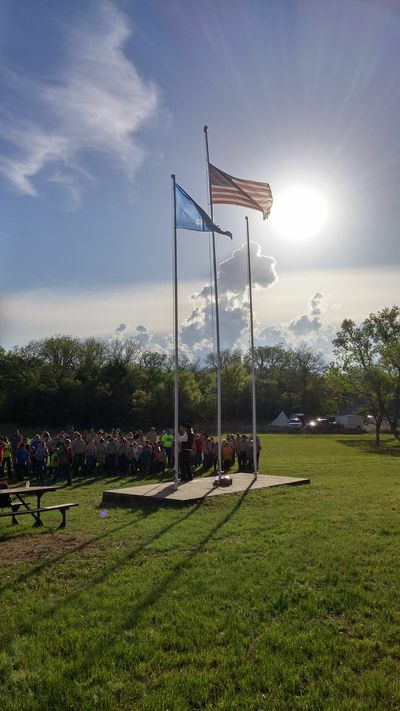 Summer Camp is being held at Will Rogers Scout Reservation, located in Cleveland, Oklahoma, for 2019. Camp Staff - The council is looking for a few dedicated individuals to serve Scouting by being a staff member at the council's camps. The Cimarron Council Pawnee Bill Scout Camporee is held annually in September. This weekend includes fun scout skills competitions, camping displays, Pioneering Gateway Design competition, Dutch Oven cooking contest, and Saturday night campfire for all Scouts BSA from Troops and Crews from across the Cimarron Council and surrounding area. This camporee is intended for the young men and women to showcase their Scout skills. Klondike Derby is held each year at the end of January/beginning of February for Scouts BSA Troops and Crews to compete against each other. It is a great opportunity for Scouts to learn to work together as a patrol and work on outdoor skills. Troops and Crews can camp at council camps: Sundance Scout Reservation, Will Rogers Scout Reservation, or Williams Scout Reservation. Weekend camping is a great opportunity for Scouts to practice their skills and have a great time in the outdoors.